Jesus tells us that if we hold on to his Word then we will really be his disciples which means we will really get to know the Truth — Jesus Christ! And the Truth, Jesus Christ, sets us free! Holding on to his Word is essential to being free! This is exactly what we are learning about in our small groups with our new church-wide study, Emotionally Healthy Spirituality. Author Peter Scazzero said, “It is impossible to be spiritually mature if we are emotionally immature”. This week, we learned 10 telltale signs of emotionally immaturity in our own lives. Furthermore, we learned that we need to intentionally slow down in order to learn how to lead a more contemplative life. That’s what the “Day By Day” devotionals are meant to help us with. It leads us in taking a couple of minutes to sit in silence in order to focus on God, read a brief Scripture verse and meditation, a small prayer, and another moment of silence. I strongly recommend everyone to purchase theirs soon! Alabaster Box: Please don’t forget to bring your alabaster box tomorrow, February 24th! Wedding Shower: for Crystal and Isaac, Saturday March 2nd at 11AM in the Fellowship Hall. We will be serving brunch, and there will be a sign up sheet tomorrow morning at the entrance for anyone that would like to participate in making food. 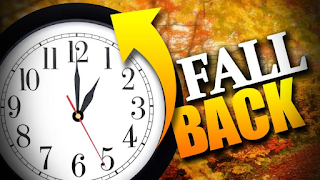 Time Change: Sunday the 10th of March at 2AM we will have to set our clocks one hour forward! Enchiladas: We want to first thank everyone for understanding the postponement of the fundraiser. The new date is still to be determined. Thank you for your contribution and willingness to support the youth group! 1- So that through the study of Emotionally Healthy Spirituality each one of us can experience emotional healing to reach spiritual maturity. 2- To prepare for Easter. Lent-meditation time on Christ's suffering for our salvation-begins on Wednesday, March 6 and concludes on the day of resurrection on Sunday, April 21. 3- A revival in my life, in my family, in my congregation and our nation. 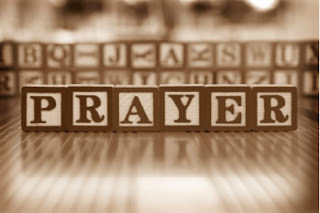 Prayer for one another- I strongly encourage you to keep in your prayers our brothers and sisters, but also to reach out to them by calling or visiting them. -Sister Vera’s hearth test result. -Sister Elaine Hunter is in the hospital at St. Joseph- room 556. -Sister Phyllis- recovery from hip surgery- she is now at the Catholic Care Center- 6550 E 45th St. n. Bel Aire. KS 67226- Whispering Brook neighborhood room #200. -Ochoa Children’s mother-Laura- is in Mexico waiting for her documents. Mientras nos acercamos al final del año 2018 y consideramos la frescura de un nuevo ano, muchas personas consideraran que es lo que han alcanzado o que les gustaría cambiar en el 2019. Enero es un tiempo popular en donde las personas se registran en una membresía del gimnasio con planes de hacer ejercicios y perder algo de peso. Para los discípulos de Jesús, también es popular para hacer un nuevo compromiso de leer más la Biblia o de orar más, pero al igual que la membresía del gimnasio, las buenas intenciones no son suficiente buenas para hacer los cambios que deseamos. Tenemos que procurar ser piadosos. Por siglos los cristianos han reconocido que necesitamos entrenamiento de transformación para ser como Jesús. A esto le llamamos disciplina de entrenamiento espiritual. La meta de las disciplinas espirituales no son las actividades; la meta es la transformación. La meta es Jesús. Que este mundo pueda ofrecer hoy. Mi oración es que usted me acompañe en los ejercicios espirituales que nos transformaran a hacer como Jesús. Fin del ano para dar. Este domingo 30 de diciembre será el último domingo del 2018. Quiero agradecer su fidelidad a apoyar a la iglesia de Eastridge y la misión de Jesucristo. Nuestro tesorero Todd Hunter, preparará los registros de lo que usted a aportado económicamente en el 2018, y los distribuirá al final de enero del 2019. Si usted gusta hacer una contribución adicional en este ano, la podemos recibir el dinero este domingo. También, si usted gusta hacer una contribución usando uno de nuestros métodos electrónicos será ciertamente bienvenida. 1. Descarga la aplicación gratis de “EasyTithe” (diezmo fácil), para teléfonos iOS o Android. 3. Inicia la sesión o crea una cuenta para donar. 4. Toca el símbolo “+” e introduce la cantidad que donaras. 5. Una vez que los nuevos métodos son agregados (crédito/tarjeta de débito, cheques electrónicos,etc.) los puedes encontrar en la lista que se despliega hacia abajo. 6. Selecciona el FONDO que deseas e indica si la donación será solamente una vez o será una donación que realizaras frecuentemente (semanal, cada dos semanas, mensual). 1. En un texto introduce la cantidad que deseas dar. 2. Se requiere a los que donan por primera vez que visiten el sitio seguro URL para registrarse e introduce la información de tu tarjeta de crédito/debito. 3. La donación se procesará y tu recibirás la confirmación en un texto. · Envia el texto que diga “Funds” para recibir un texto de respuesta de la posible lista de fondos que puedes escoger. · Si el nombre del fondo que tu enviaste texto no coordina con la lista de fondos, tu recibirás un mensaje de texto con los posibles fondos que existen. · Envía un mensaje de texto “reset” para remover la información de la tarjeta. El lunes 31 de diciembre: Tendremos una vigilia. Empezaremos con un “potluck dinner” (cena de traje) a las 7:30pm a 9:00pm en el salón social. Tendremos un tiempo con algunos juegos familiares de 9:00pm a 10:30pm. Terminaremos la noche con un tiempo de adoración y oración de 10:30pm a 12am. El domingo 6 de enero estaremos recibiendo los votos de Promesa de Fe para el 2019. El dinero de Promesa de Fe es usado para apoyar el ministerio de misiones de la iglesia del Nazareno. La Iglesia del Nazareno tiene más de 685 originarias misiones de 59 áreas del mundo (incluyendo 225 voluntarios de tiempo completo). La Iglesia del Nazareno ministra en 162 áreas mundiales. Por cada dólar que es dado a Fondos Evangelísticos Mundiales (WEF) .88 centavos van directamente a las misiones o su trabajo ministerial. Junta para los que deseen convertirse maestros de guarderia, kinder o maestros de iglesia infantile es para ti! 6 de Enero 2019 Despues del servivio comedor de la iglesia. As we come to the end of 2018 and consider a fresh new year many people will consider what they would like to accomplish or what they would like to change in 2019. January is a popular time for people to sign-up for gym membership with plans to work out and to lose some weight. It is also a popular time for disciples of Jesus to make new commitments to read the Bible more or to pray more but like with the gym membership, good intentions are not enough to bring about the change we desire. We must train ourselves to be godly. Christians for centuries have recognized we need training to transformed like Jesus. We call this training spiritual disciplines. The goal of the spiritual disciplines is not the activity; the goal is transformation. The goal is Jesus. My prayer is that you will join me in the spiritual exercises that will transform us to be like Jesus. This Sunday, December 30th will be the last Sunday for 2018. I want to thank you for your faithful support to the Eastridge Church and the mission of Jesus Christ. Our treasurer, Todd Hunter, will prepare 2018 giving records to be distributed by the end of January 2019. If you would like to make an additional contribution, we can receive the money on Sunday. Also, if you would like to make a contribution using one of our electronic methods that is certainly welcomed as well. 1. Download the FREE EasyTithe app for iOS or Android. 3. Login or create a donor profile. 4. Tap the “+” icon and enter the donation amount. frequency (e.g. weekly, bi-weekly, monthly). 1. Text the amount you desire to give. register and enter your credit / debit card info. 3. Donation will process and you will receive a confirmation text. you will receive a reply text of possible funds. · Text “reset” to remove saved card info. Monday, December 31st: We will be having a vigil. We will start with a potluck dinner at 7:30pm to 9pm in the fellowship hall. We will have some family game time from 9pm to 10:30pm. We will finish the night with a time of worship and prayer from 10:30pm to 12am. Sunday January 6th after the worship service we will have a meeting in the fellowship hall for anyone interested in working in the nursery, kinder or children’s church. On Sunday January 6th we will receive pledges for 2019 Faith Promise. The Faith Promise money is used to support mission ministry of the Church of the Nazarene. The Church of the Nazarene has over 685 missionaries originating from 59 world areas (including 225 long-term volunteers). The Church of the Nazarene ministers in 162 world areas. For every dollar given to the World Evangelism Fund (WEF) .88¢ goes directly to the missionaries or their ministry work. Recientemente hemos visto en las noticias la terrible tragedia de la matanza en la Sinagoga de Pittsburgh. Hemos tenido reports de un gran grupo de personas que viene hacia la frontera de los Estados Unidos con la intencion de pasar a los Estados Unidos. Pienso que hay aun una tragedia mas grande que ocurre en nuestra nacion y en nuestro estado por los ulitmos anos...desafortunadamente no ah tenido mucha atencion....la matanza de bebes no nacidos. El ano pasado el estado de Kansas reporto mas de 6 mil abortos en 2017. El Aborto es un acto de matanza directa que toma la vida de un ser, una vida que comienza en la concepcion. Premisa #1: Es malo matar a una persona. Exodo 21:22-23 La Ley Mosaica considera a los bebe no nacidos como personas que merecen tener protecion y tener derechos como adultos. Jeremias 1:5 dice "Antes que te formase en el vientre te conoci, y antes que nacieses te santifique, te di por profeta a las naciones"
En Mateo 1:20 el angel le dice a Jose "El Nino que ah sido engendrado" es "Del Espiritu Santo" indica que Jesus ciertamente fue una persona en el momento de la Concepcion. La Iglesia Nazarena afirma la santidad de la vida humana es establecida por Dios el creador y cree que tal santidad es extendida al bebe no nacido. La vida es un regalo de Dios. Toda la vida humana, incluyendo la vida que se desarrola en el vientre, es una creacion de Dios en Su imagen y por lo tanto debe ser cuidada, apoyada y protegida. La proxima semana vamos a tener elecciones importantes para el estado de Kansas y los Estados Unidos. Hay muchos problemas importantes: Taxes, matrimonio, cuidado de salud, immigracion por nombral algunos. Para mi es muy dificil ver otro problema mas importante que el aborto. Tenemos que apoyar y oponernos a candidatos que apoyan la matanza de los no nacidos. Les animo a orar por las elecciones de la proxima semana. Les animo a que pidan una avivamiento en America donde seamos convictos de nuestros pecados como una nacion. La Biblia es clara, Dios no bendice a una nacion pecadora. En nombre de la Pastora Eva y el Pastor Rick, quiero agradecerles a todos por la comida de Apreciacion al Pastor del pasado Domingo. El horario de ahorro de Luz acaba el Domingo, Noviembre 4, haga una nota mental de retroceder sus relojes una hora, y tambien acuerdece de cambiar sus baterias un sus detectores de humo y detectores de monoxido de carbon. Este Sabado, Noviemrbe 4 a las 4:30pm vamos a tener una ducha nupcial para Nick y Susie en el salon de Companerismo. El grupo de jovenes va a mirar una pelicula en Noviembre 9 en la casa de la familia Cruz. La operacion de Cajas Navidenas para Ninos necesita entregarse en la iglesia el Domingo, Noviembre 11. Tenemos reunion de Oracion todos los Miercoles cada tarde de 7pm a 8pm en el santuario de la Iglesia. El miercoles antes de Accion de Gracias, Noviembre 21 no vamos a tener una reunion de oracion. El Programa de Navidad de Ninos estra programado para Diciembre 9, durante el servicio de alabanza. El Sabado Diciembre 8 vamos a tener una practica. "La oracion no es decirle a Dios que es lo que tiene que hacer. La oracion es una colaboracion con Dios para ver cual es Su voluntad. Usted no tiene que entender completamente cual es la voluntad de Dios para orar que se haga Su voluntad. "- El poder de la Oracion para tus Ninos adultos por Stormie Omartian. Recently we have seen news coverage of a terrible tragedy with the mass killing in a Pittsburgh Synagogue. We have been having reports of a large group of people traveling towards the US southern border with the intent of coming to America. I think there has been a greater tragedy occurring in our nation and in our state for the past several years…unfortunately it has not had much attention…the killing of the unborn babies. Last year the state of Kansas reported over 6 thousand abortions for 2017. Abortion is an act of direct killing that takes the life of a tiny human being - a life that begins at conception. Exodus 21:22-23 strongly indicates that the Mosaic Law viewed the unborn as persons worthy of the same protection and rights as adults. In Matthew 1:20 the angel tells Joseph that “the Child who has been conceived” is “of the Holy Spirit” indicates that Jesus certainly was a person at the moment of conception. The Church of the Nazarene affirms the sanctity of human life as established by God the Creator and believes that such sanctity extends to the child not yet born. Life is a gift from God. All human life, including life developing in the womb, is created by God in His image and is, therefore, to be nurtured, supported, and protected. Next week we will have an important election for both the state Kansas and the United States. There are many issues that are hot topics: taxes, marriage, health care, and immigration to name a few. For me it is hard to see an issue that is more important than abortion. We should support the unborn and oppose candidates who support the murder of the unborn. I want to encourage you to pray for our elections next week. I encourage you to pray for a revival in America where we be convicted for our sins as a nation. The Bible is clear God will not bless a sinful nation. On behalf of Pastor Eva and Pastor Rick I want to thank everyone for the Pastor Appreciation dinner last Sunday. 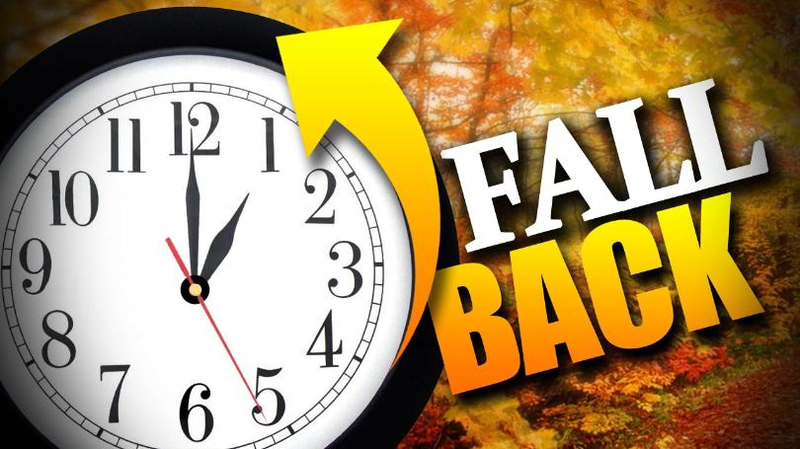 Daylight Saving Time ends on Sunday, Nov. 4, and as you make that mental note to change the clocks back an hour, you should also remember to change the batteries in your smoke and carbon monoxide detectors. The youth group will be watching a movie on November 9th at the Cruz home. We have Prayer Meeting each Wednesday evening from 7pm until 8pm in the Church sanctuary. The Wednesday before Thanksgiving, November 21, we will not have prayer meeting that week. The Children’s Christmas Program is scheduled for Sunday morning December 9th, during the worship service. Saturday December 8 they will have a rehearsal.